EDF Renewables North America and Shell Energy North America (US), L.P. (SENA) announced the signing of a 15-year Power Purchase Agreement (PPA) under which Shell will purchase the energy and renewable attributes related to a 100 megawatt (MWac) / 132 MWp tranche of EDF's Palen Solar project known as Maverick 4 Solar Project. Palen Solar is located in Riverside County, California on 3,140 acres of federal lands within a Solar Energy Zone (SEZ) and Development Focus Area, managed by the U.S. Bureau of Land Management (BLM). The BLM recently completed the federal permitting process, issuing the project a Record of Decision (ROD), which sets in motion the path forward for project construction. The Project expects to deliver clean electricity by the end of 2020. 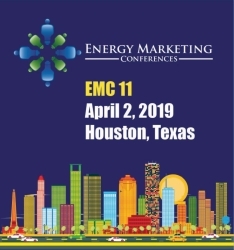 "SENA, as one of the largest energy suppliers in the West, is actively growing its renewable power business, building on our strengths and capabilities to bring more clean energy solutions to our customers," said Glenn Wright, vice president, Shell Energy Americas.